How big is Ya Poker? Ya Poker offers Million Dollar Sundays, the weekly Beast, Jackpot Poker lottery SNGs and you can play up to 20 tables at a time. The largest South America poker room where you can play against US players in the same playerpool (US players can't join WPN via Ya Poker, but they can via Americas Cardroom). All players get 27% rakeback each week. 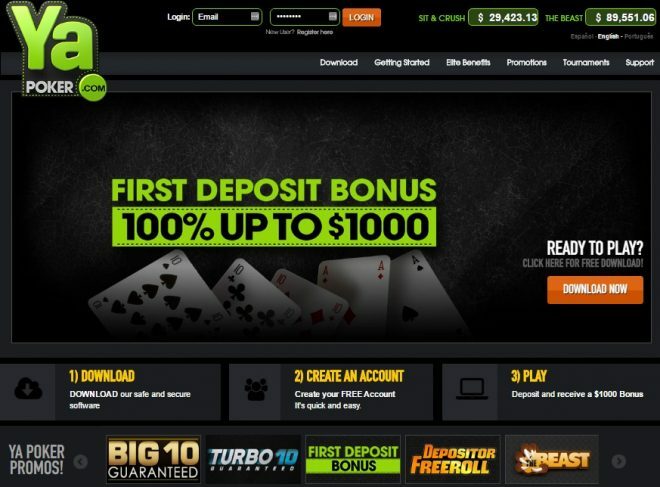 Additionally, all first time depositors can earn up to $1,000 when they join. 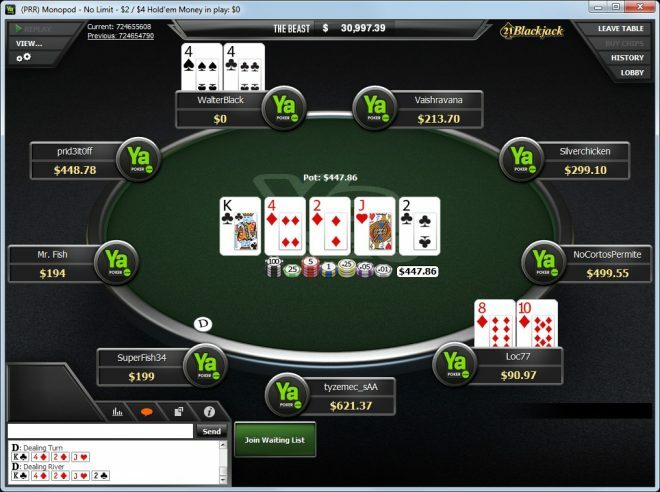 Ya Poker is a poker room on the Winning Poker Network (WPN). It is ideal for players in South America, with dedicated support staff fully aware of the issues specific to the region. US players are not accepted. Deposit and withdrawal methods are tailored to ensure that no matter what capital controls or national restrictions are in place, players can be assured that they can conduct their financial transactions swiftly and safely. If you have any doubts as to what deposit method works best for you, Spanish and Portuguese speaking support staff will provide up to date advice. The flagship poker room on the WPN is Americas Cardroom which is now the largest poker room in the world that still accepts players from the US, Europe, Asia and South America. Players at Ya Poker can benefit from permanent promotions such as the Beast, a progressive rake race running every week, with jackpot prizes funded by Ya Poker directly rather than by a contribution from rake. WPN also runs regular $1 million guaranteed tournaments open to all Ya Poker players. The $540 buy-in is high, but there are a multitude of ways to satellite in to the events at prices ranging from less than $1. The standard language at Ya Poker is Spanish, but players can opt for Portuguese or English. Ya Poker also offers Jackpot Poker, the lottery style sit and go where the prize fund is determined randomly at the start of each game. By signing up to Ya Poker via an affiliate webpage such as Rakeback.com players receive 27% rakeback instead of the lower value VIP program. 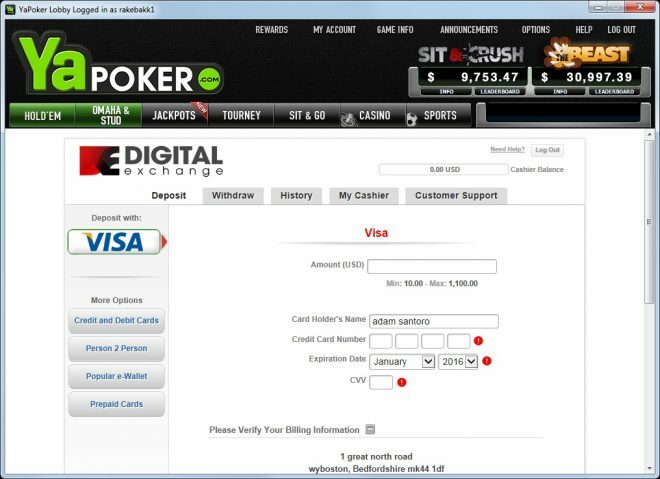 Make sure you access the Ya Poker website from this page rather than Google or the refer a friend program, so that you open a rakeback account rather than a VIP account. Clearing cookies and using bonus code RAKEBACKRB when depositing also helps but isn’t essential. 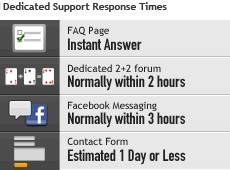 27% rakeback at Ya Poker is redeemable on demand in the in-client cashier. Get 27% of your rake paid in MTTs, SNGs or cash games back at the click of a button. 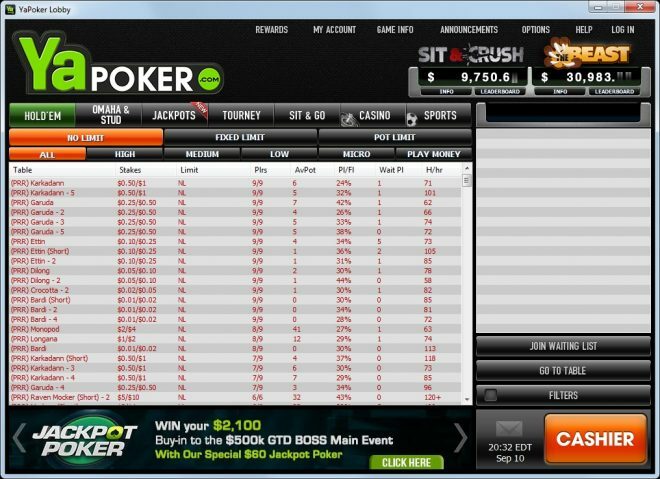 As a new player on Ya Poker you earn a net 41.6% rakeback while clearing your deposit bonus. Open the Ya Poker game client. Click the “Rewards” tab near the top of the screen and then selecting “Rakeback”. Click the “Click Here to Redeem” button. 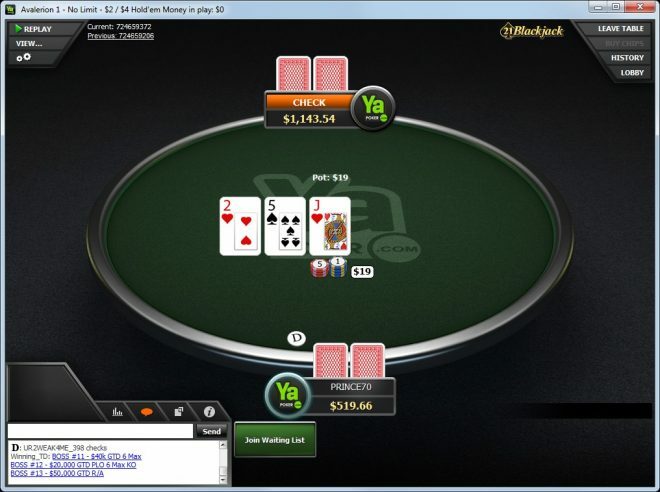 Ya Poker uses the weighted contributed rake method–all players dealt into a hand who contribute money to the pot where rake is taken receive VIP points.